Kon Du (Jo Long peope) back to Kontum. Lunch. Have a rest. km) take wooden boating on the Dakbla river back to Konkotu village. Dinner in village. Evening enjoy the Gong show & drink local rice wine. Homestay. rubber, coffee, pepper plantation on the road. To Buon Ma thuot, check in Hotel. • Transport : A/c bus with drinking water. 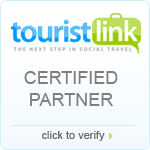 • ESG or FSG: Experienced tour guide. • Meals: 3 Breakfast, 3 lunches + 1 Dinner as mentioned in itinerary.